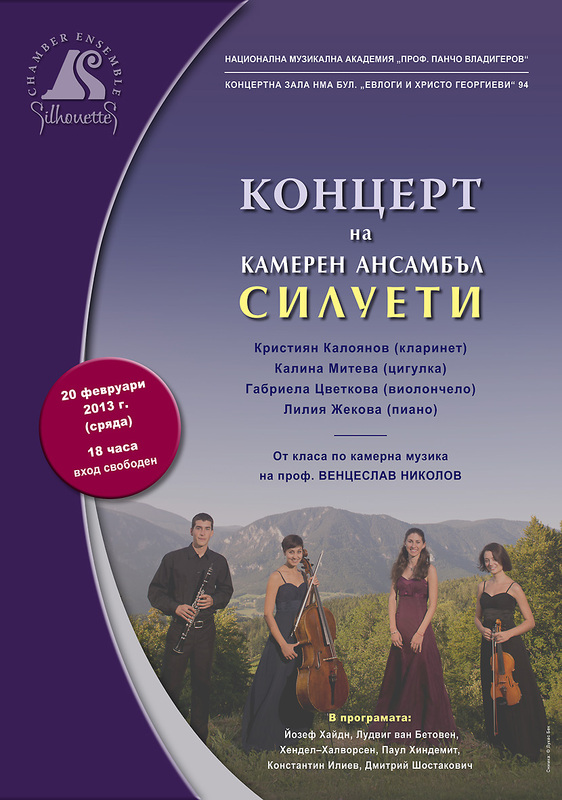 On 16 July 2013 (Tuesday) at 19 o'clock in the Hall of the German Embassy in Sofia, 25, Frederic Joliot-Curie str., a concert of Chamber Ensemble Silhouettes and prof. Venceslas Nikolov will be held. 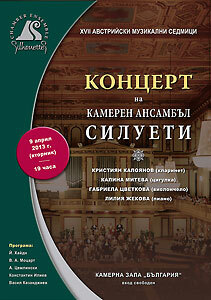 a concert of Chamber Ensemble Silhouettes will be held. 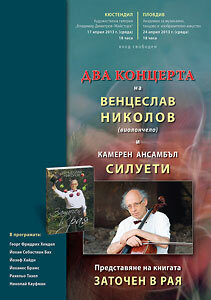 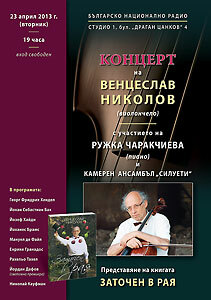 jubilee concert of Wenceslas Nikolov (cello) will take place. 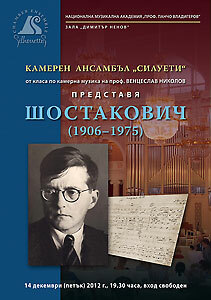 With participation of Rujka Charakchieva (piano) and Chamber Ensemble Silhouettes. Presentation of Wenceslas Nikolov's book "Exiled in Paradise"
two concerts of Wenceslas Nikolov (cello) and Chamber Ensemble Silhouettes will take place.